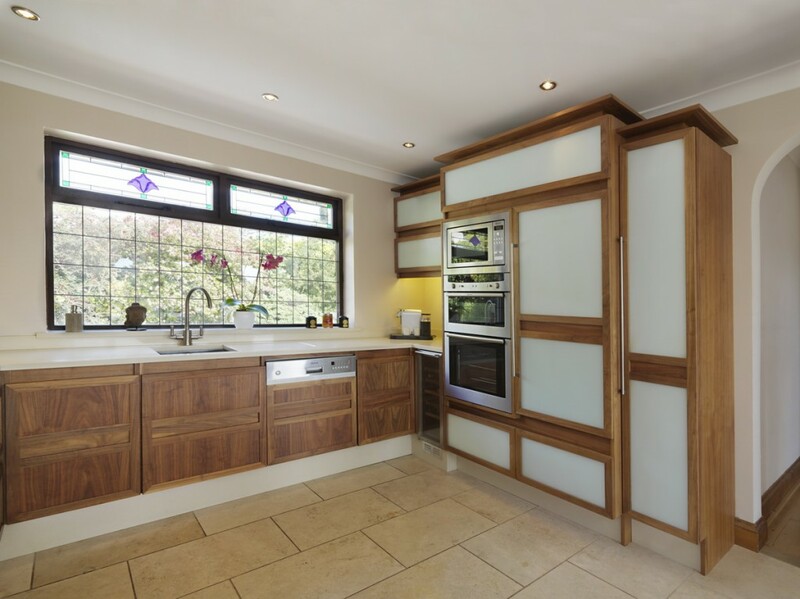 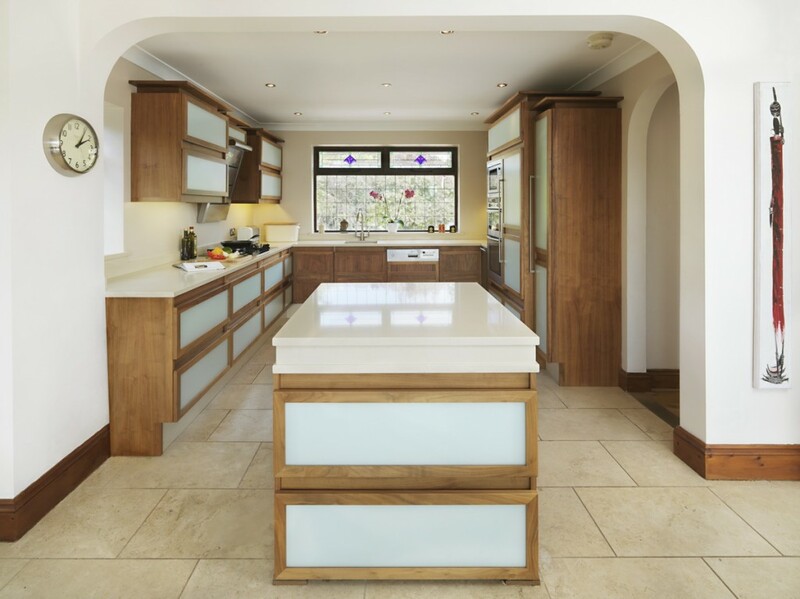 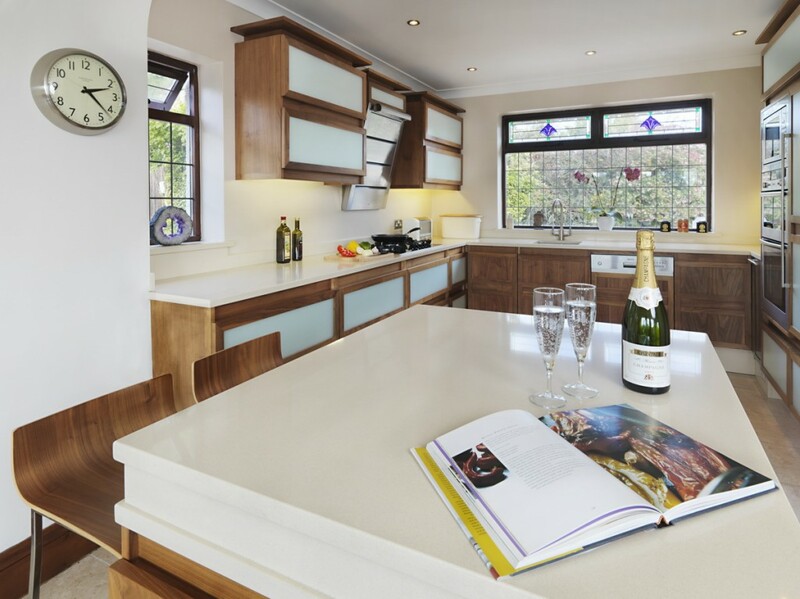 This contemporary style kitchen features black walnut with contrasting textured glass panels. 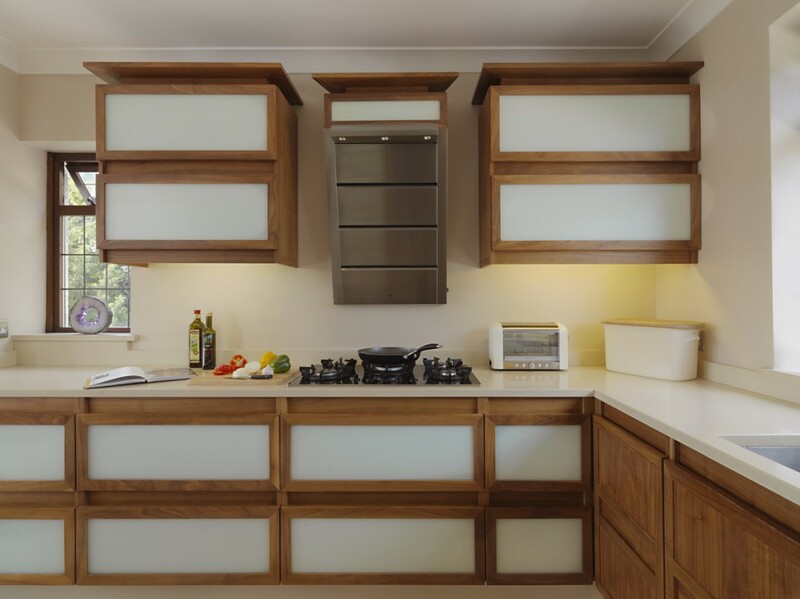 This unusual design’s ‘oriental’ feel is helped by the capping trim featured at the top of the units and the coloured glass used in the dark wood frames. 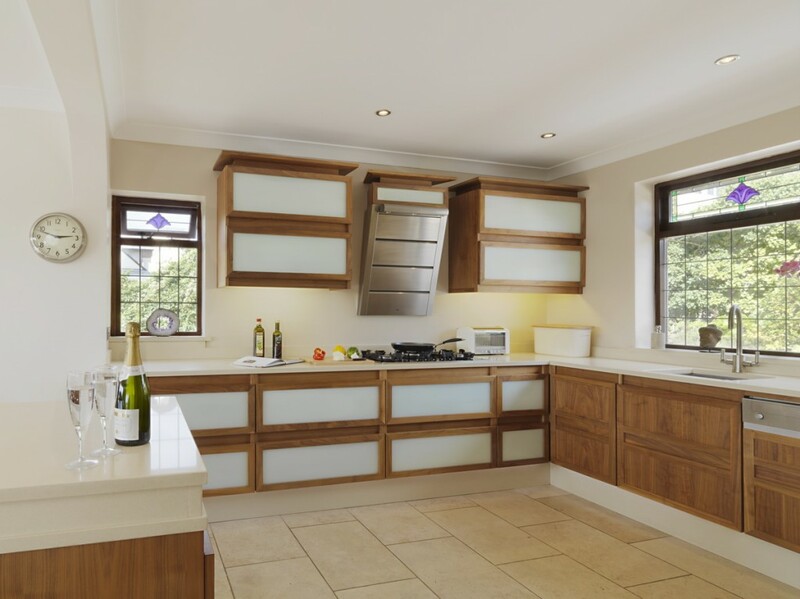 The brief in this kitchen was to create storage space, so we designed large pan drawers with wall units that match. 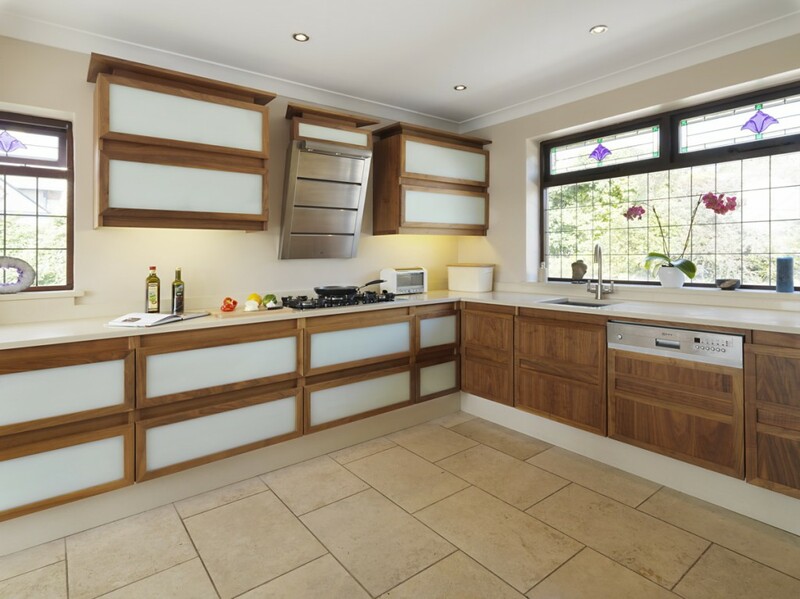 We will design your favourite collection around your own requirements too.